Do you remember the Camel Trophy? Between 1980 and 2000, sweaty and dirty guys made their way through harsh territory in Australia, Peru, Tanzania, Mongolia or Malaysia, no path too muddy or too steep. No desert too dry and no place too desolate. Not long ago, I watched a Camel Trophy from the 80s and was impressed by what the participants and the cars had to go through. 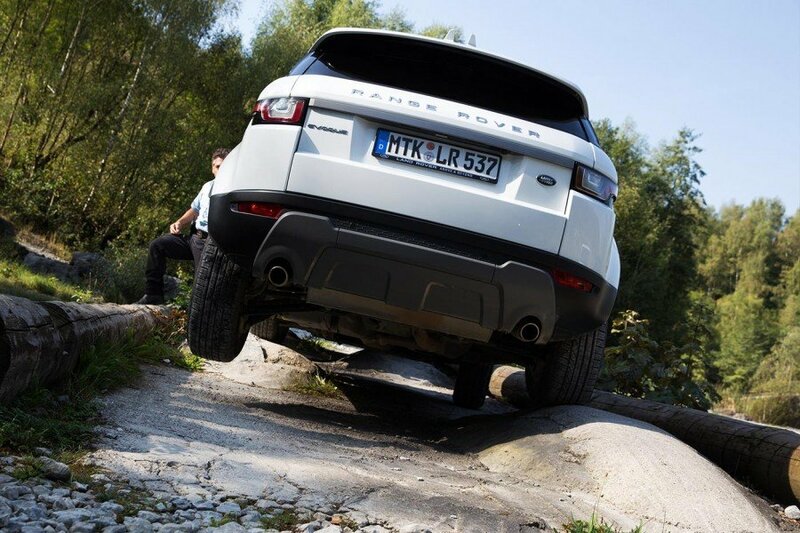 So you may not be surprised that I became a huge Land Rover fan. I simply like big cars with a lot of space and a lot of horse-power. I own a Disco (a nickname for the Discovery among Land Rover enthusiasts) and will not abandon it any time soon. 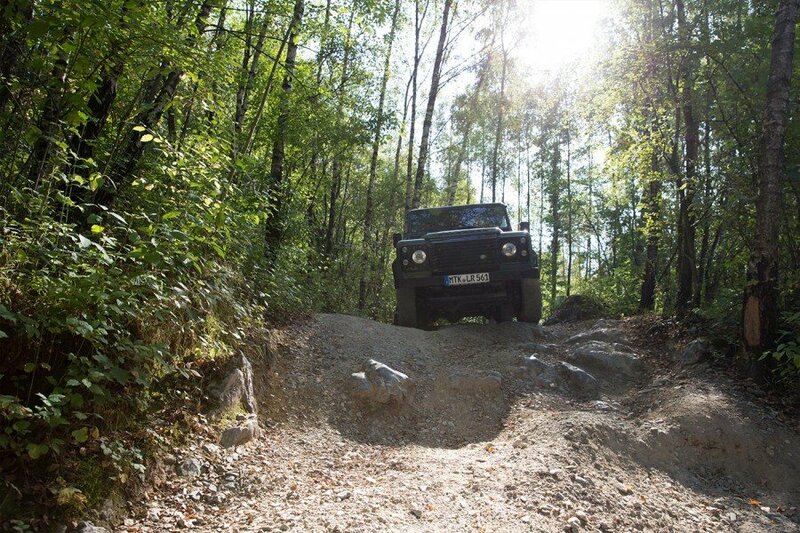 Wuelfrath – Off-Road El Dorado? I like driving cars and for me it is important to experience extraordinary road conditions. Driving on snow, even ice, I took the Porsche Camp 4 in Lapland. Now, I am confident driving with even the most extreme weather conditions and I had a lot of fun learning at the camp! But what about mud, sand and rocks? 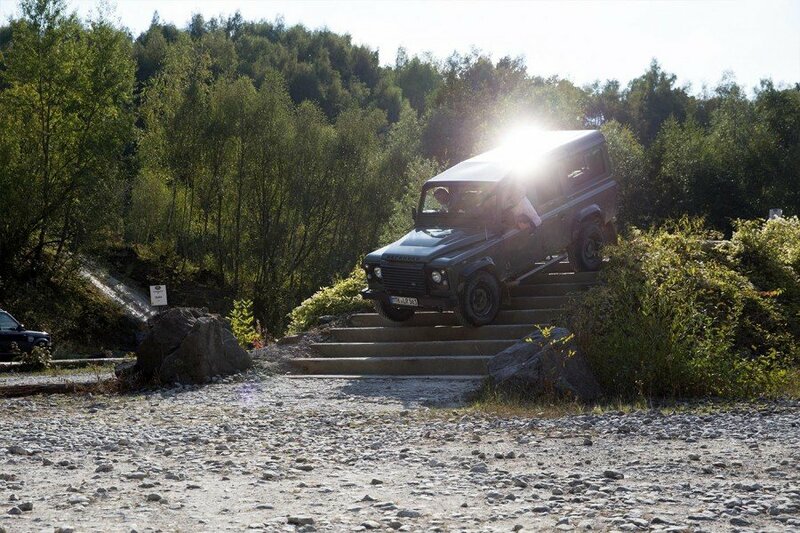 What about steep inclines or downhill paths or even being stuck? 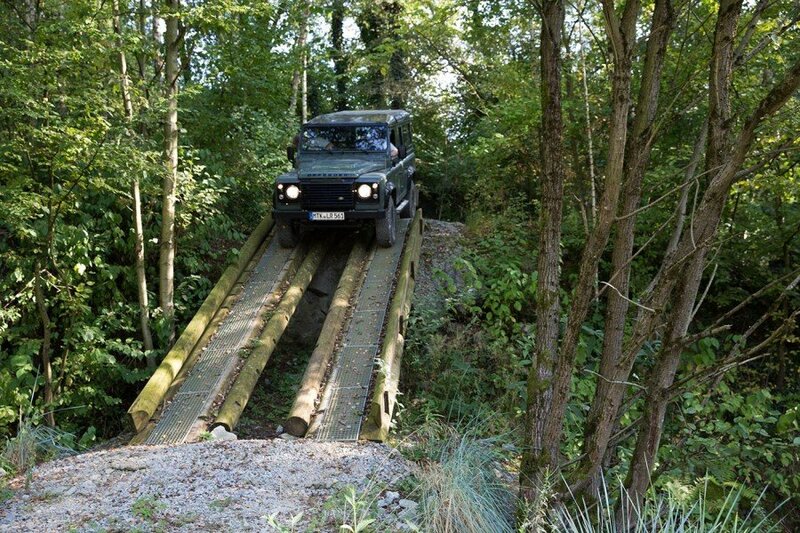 These are exactly the kind of challenges confronted the Land Rover Off-Road Training in Wuelfrath. Wuelfrath does not sound like the off-road destination, does it? That changes as soon as you arrive at the Land Rover premises. 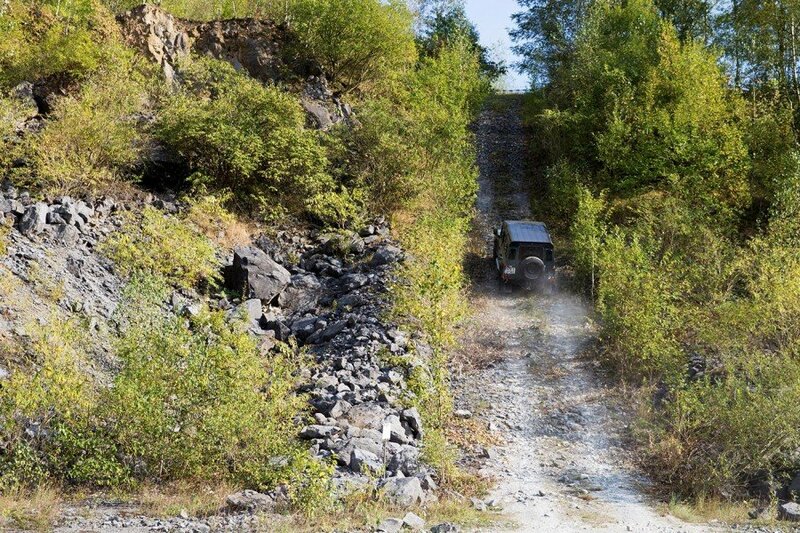 On several levels of the former mining area, you can find dirt roads and obstacles with different levels of difficulty. Once I arrived, I stood in the middle of the lowest level of the area, blinded by the sun. The ground was rocky, and a layer of dust already covered my shoes. Two carrions circled the sky and I almost felt like I was in a canyon. I was ready! Who are those people, participating in an off-road training class? We were nine participants in total. Three women and six gentlemen. 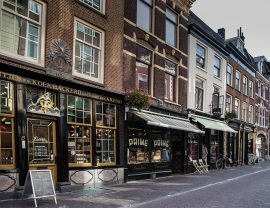 Ranging from a die-hard Land Rover fan, who fulfilled one of his biggest dreams by buying a Defender Heritage Special Edition for his 50th birthday, to a business couple, that probably has another luxury car in their garage. 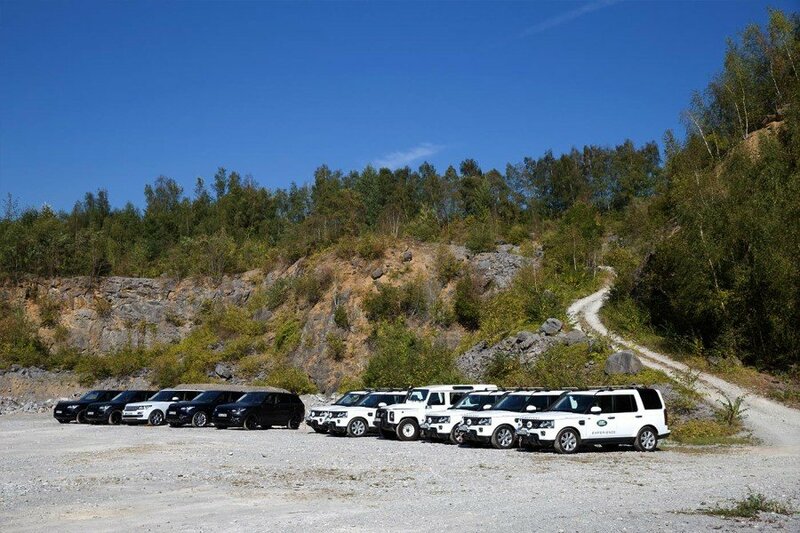 Not everyone owned a Land Rover, but after two days, everyone was stunned by the possibilities these cars offer! Some came as couples. 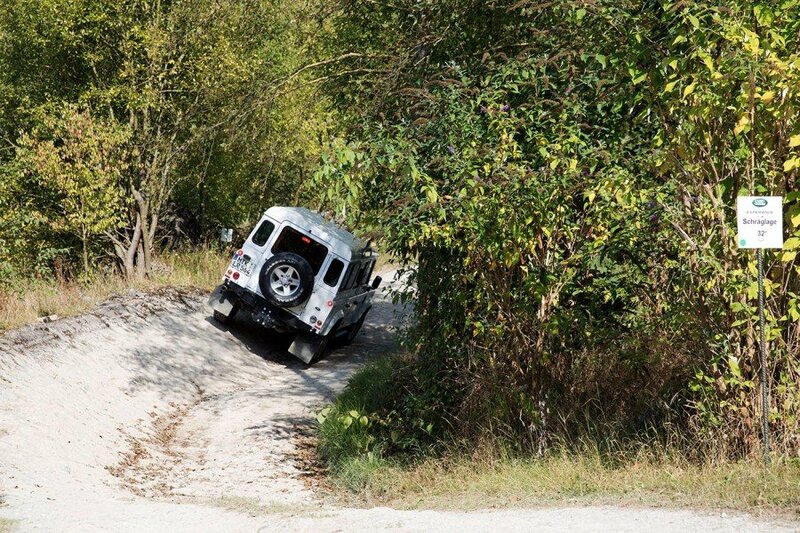 Some already participated in guided off-road tours in foreign countries. Nevertheless, the training was also suited for newbies like me. As you can tell, it was a colourful mixture of participants. 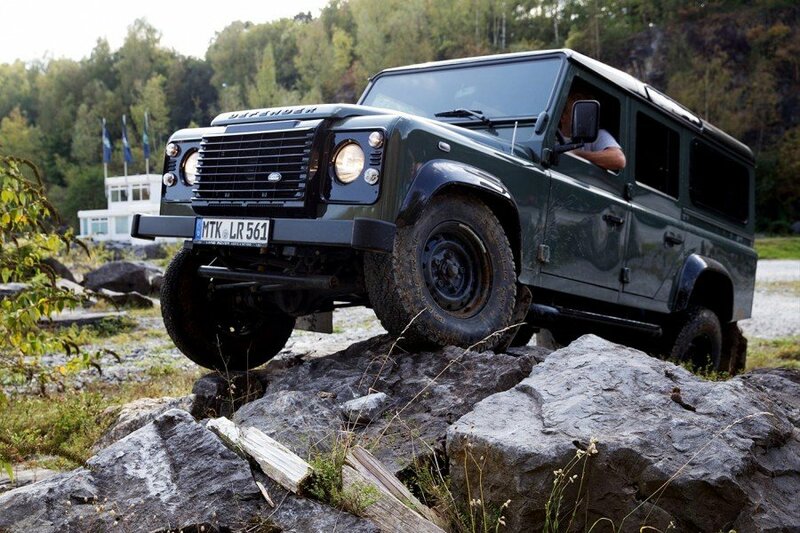 The Land Rover team consisted of Julia, from the SUMMIT customer service club, and three instructors. For the lessons we were separated into three groups, made of three participants and one instructor per car. Julia was available for questions at all times. Furthermore, she took photos of the event that were sent to us on a CD afterwards, a nice gesture. Interested participants could get information about upcoming Land Rover events or buy small merchandise. Differential Lock – my friend. 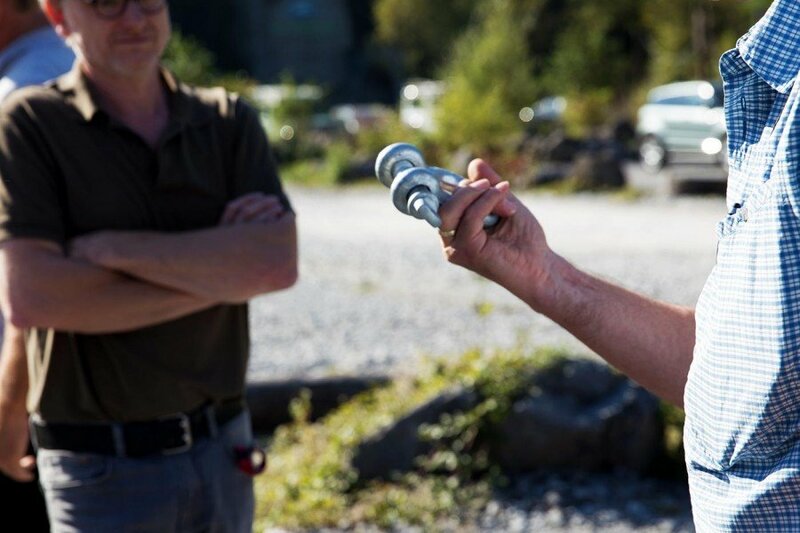 In a good mood and with coffee in hand, we started the off-road training with some theoretical lectures. Risk management! Are there any threats for humans, environment or electronics? How do I check those risks? 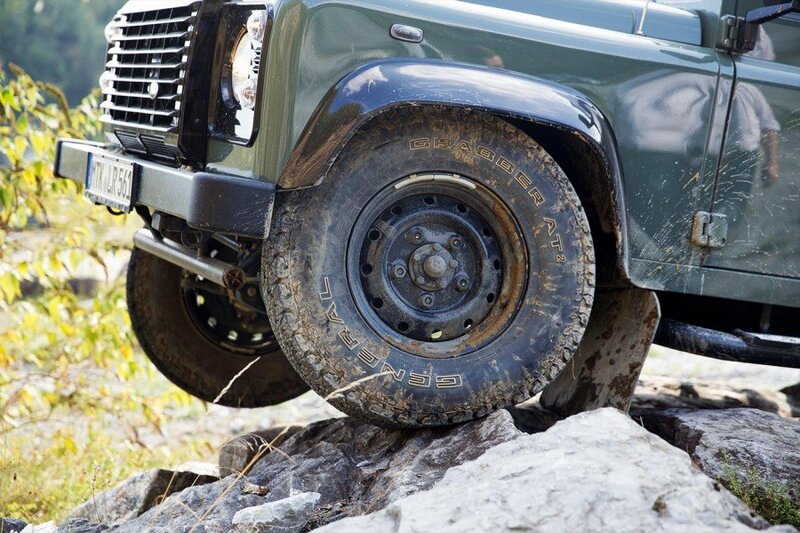 What is a differential lock and why is it your friend while off-road? 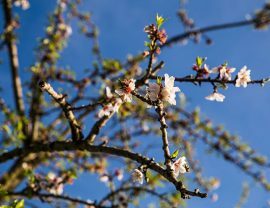 Traction, gear reduction, floor clearance, wading depth, stones, sand and mud…sprinkled with tiny anecdotes about the instructor’s experiences. The lectures were very entertaining. 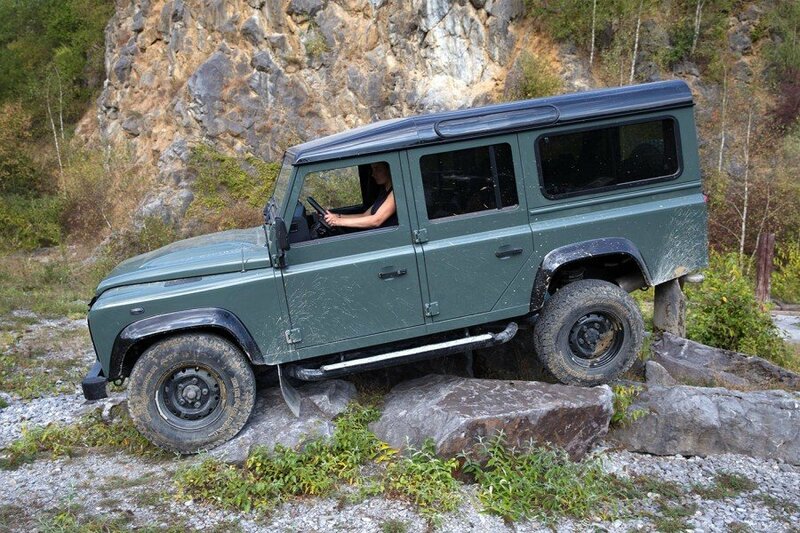 It is crazy what people experience on a Land Rover Experience Tour. In 2016 the destination was Australia and in 2017 Peru which is certainly also very challenging. The Landy and the Shackle. 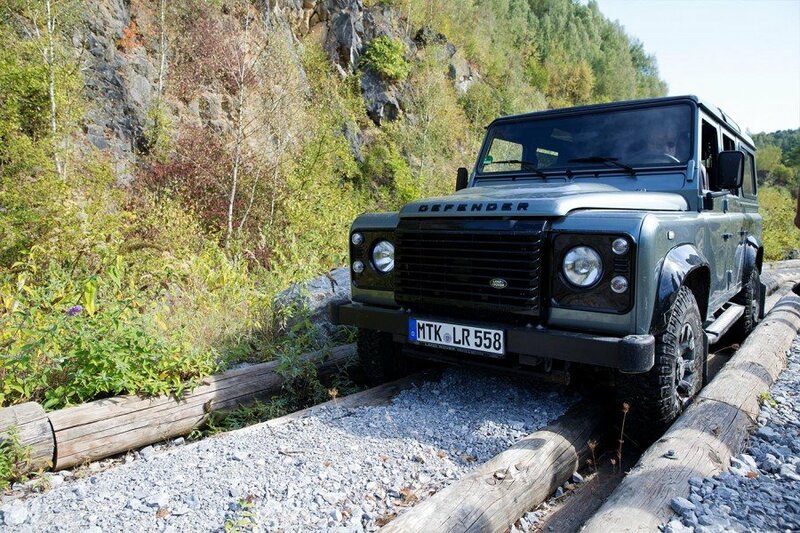 Landy is another nickname for the Land Rover. 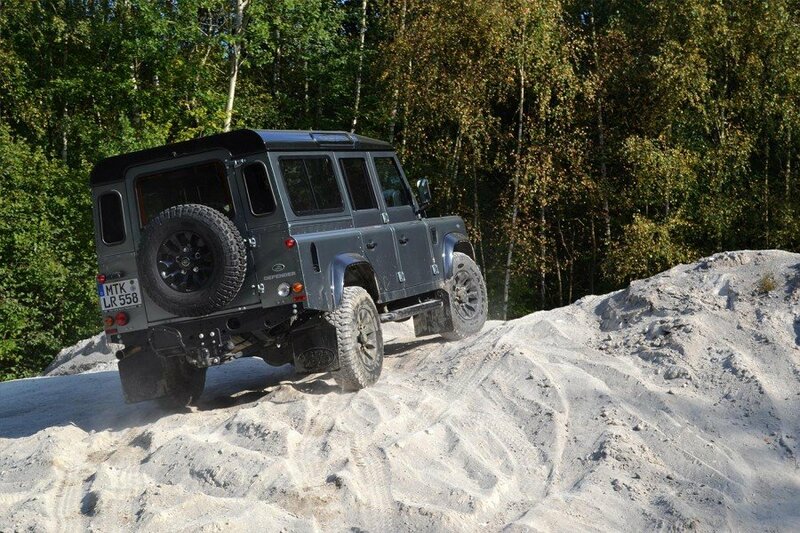 It stands for nothing other than the bedrock of off-road cars: the Land Rover Defender. Quick check, where can you find each kind of liquid in the engine? Did you know it is worse to have too much oil in the engine than too little. Next up: where is the crash button? I did not even know it existed. Where do you attach the shackle and towline? Small anecdotes from the true life about off-road trips made this even more entertaining. For example, there was a story about using a banana in the gearbox, because there was no oil. It’s all right as long as it lubricates! But please do not do this, except at 3 am in the Amazon, 400km from the next pit stop. Over Hill and Dale with the Mountain Goat. The instructor Friedl took us for our first drive. When he started talking intensively about the biting point of the clutch, I realised I had not been driving a manual vehicle for at least two years. I immediately started wondering if I had lost my feeling for the clutch. My turn. And… using a clutch is like riding a bike. You never forget. We went uphill, always minding the gas in second or third gear, then downhill in first gear. And keep your foot away from the clutch! In two days I drove down declines that I would not have dared to go down by foot. 110% decline can make you sweat. Some inclines were so steep, that I could only see the sky, a weird experience. Sideward tilt was the most dangerous obstacle. Slow and steady, don’t tip over. Rocky dirt roads are no problem for the mountain goat, another nickname. I only have to steer a little. Brilliant, I am already in love. Have the Crocodiles been fed? Crossing a stream always looks adventurous on TV. 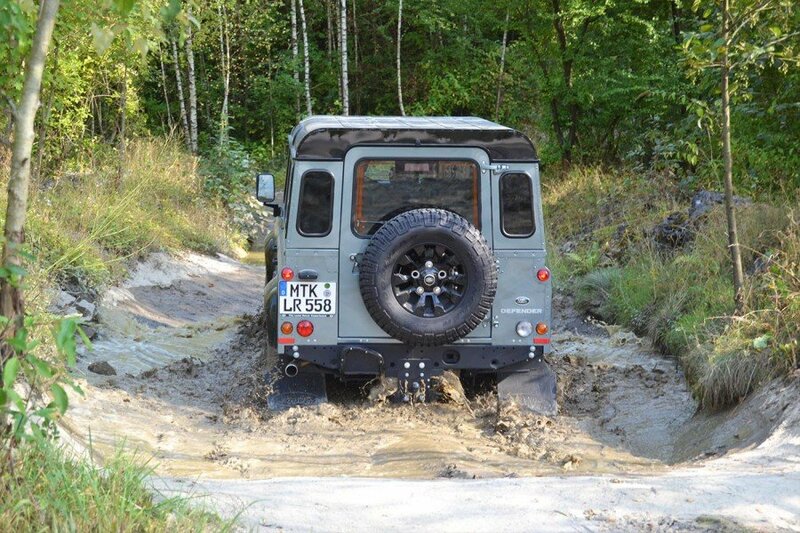 But even with an off-road vehicle you cannot simply cross any stream. If you do not know the exact depth, stay away! In some countries you also have to consider the animals in the river. I don’t believe you would want to be stuck in a river with a drowned engine and a couple of crocodiles on the hood of your car. In Australia, this is definitely possible. In 2015 for example, we could not cross a road in the Daintree National Park close to Cairns because of flooding, despite driving a Discovery with elevated intake socket. Floods are no rarity in Queensland, and yes, there are crocodiles. If you absolutely have to get into the water and you checked the depth, then drive slowly. Accelerate until you can see a small wave in front of your car and keep this speed. Even if it looks different on TV, the water is not supposed to splash several meters high! Trust Me, I Know the Way! Driving off-road requires teamwork. In many situations you cannot see the whole path by yourself. Especially when you are concerned about the clearing on rocky passages, you need help, a marshaller! You have to trust his judgement completely and focus only on him. He shows you in which direction to steer, how much to accelerate, and when to stop. A few meters can take several hours. Such obstacles pose a great challenge for the team and offer even greater reward once it is overcome without damages. A little sweaty and covered in dust, I was proud to have bested all obstacles. I also felt melancholy, I would have liked the off-road training to have lasted a couple more days. I had a lot of fun! Now I am mentally prepared to get down and dirty and get my car out of the mud in pouring rain! With the certificate of participation, a miniature Defender and the experience travel catalogue, we went home. My husband and I are definitely going to go a step further and join one of the bigger global tours. Arrival: Wuelfrath is situated in North Rhine- Westphalia, approx. 20min from Wuppertal and 30min from Dusseldorf. Catering: Hot and cold beverages as well as a lunch buffet are provided along with coffee and cake at the end. 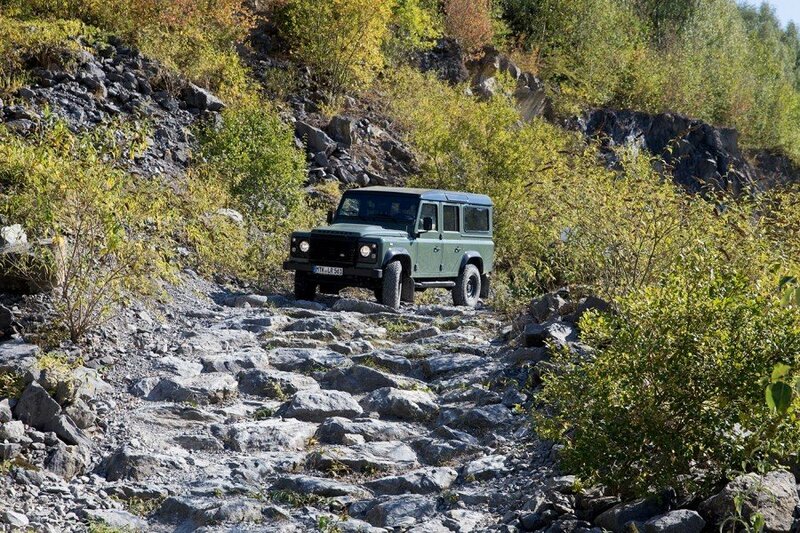 Please note: It is not possible to use your own car for the off road training or to drive on the training premises. 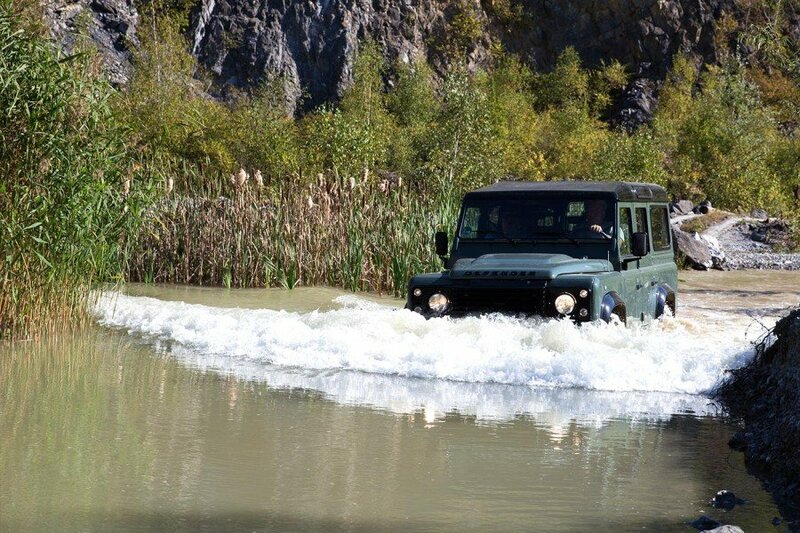 More Information: Land Rover Experience Drives.